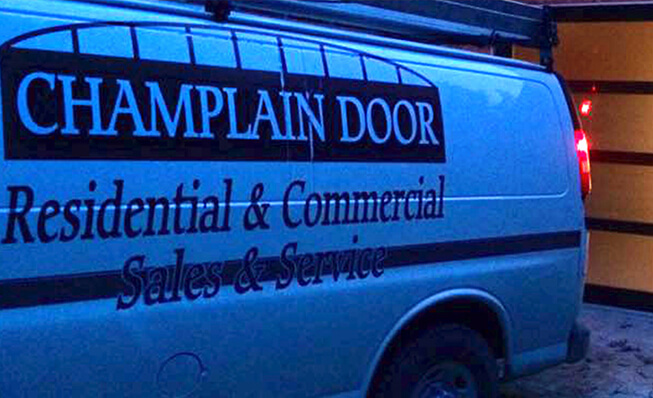 Champlain Door Systems was established back in 1990, and we have become the premier Waterbury, Vermont garage door repair and garage door installation resource. The longevity that we have been able to establish tells you a lot about the way that our customers feel about our work, and we take it very personally. We are family owned and operated, so we put our stamp on everything that we do, and it shows in the quality of the work that we provide for our clients throughout Washington County. This historic town is a truly beautiful place to live, and we are proud to be of service to its residents. Whenever you need a garage door opener, a garage door repair, or a garage door installation in Waterbury, Vermont, pick up the phone, give us a call, and we will take care of the rest. We have developed expensive capabilities over the years, and we can take on any type of commercial garage door job. Overhead doors can take a heavy pounding over the years, and we would be more than glad to repair your overhead doors, and we can also replace them when the time is right. The commercial garage doors and garage door openers Waterbury, Vermont business decision makers can obtain from us are of the highest quality, but we provide value-based pricing. In addition to our commercial garage door installations and commercial garage door repairs, we specialize in gate opener repairs and brand-new gate opener installations. Plus, we recognize the fact that many of our overhead door customers use loading docks, so we have developed extensive capabilities with loading dock equipment sales, installations, and services. Residential customers can also rely on us for garage door openers, garage door repairs, and garage door installations. When it comes to garage door repairs, we understand the fact that time is of the essence when your garage doors are not working. We are very well staffed, and our highly skilled technicians get the job done right the first time, every time, and we can get to you in a hurry if you are faced with an emergency situation. If you would like to learn more about any of our services, you can speak with one of our Waterbury, VT garage door experts right now if you give us a call at 802-524-7595 or 1-800-585-7595.